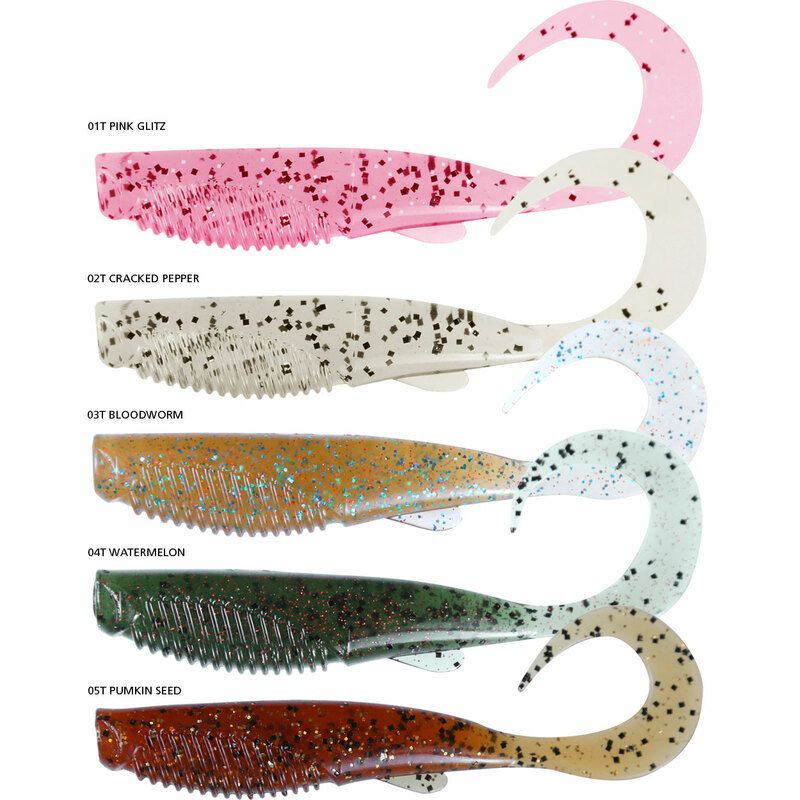 Squidgies has now teamed up with Shimano to develope the next generation in Squidgies, the Bio-Tough Wriggler. Combining Dura Stretch toughness with our new 'Synthetic Bioplastic' we have been able to merge superior strength and durability with at least 50% Biodegradability. 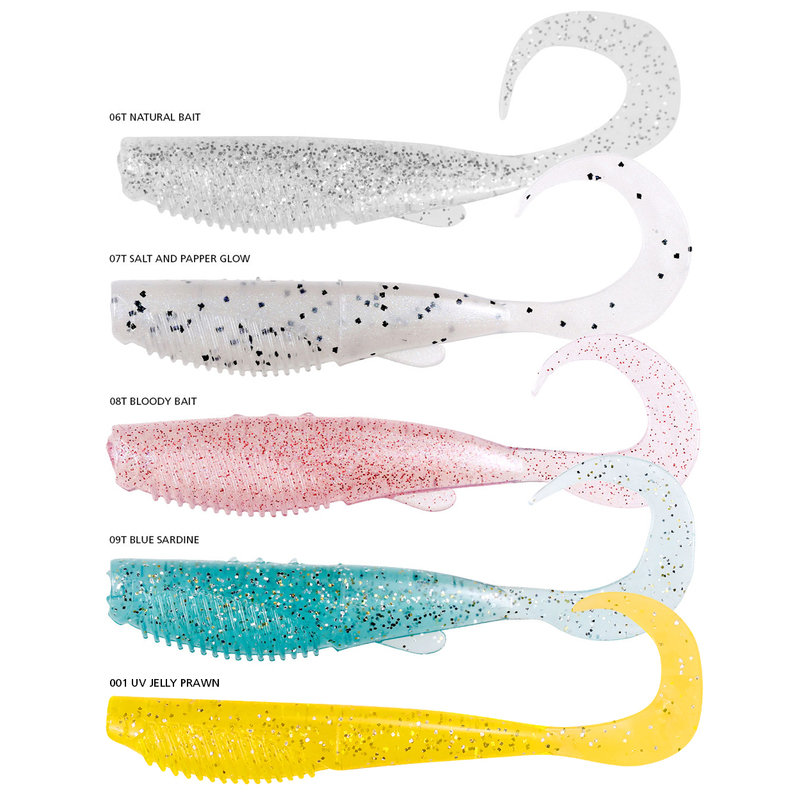 Shimano 'Squidgies Bio-Tough' intergrates these features with our exisiting UV treatment to further enhance lure pressence and ensure your plastic lasts longer. 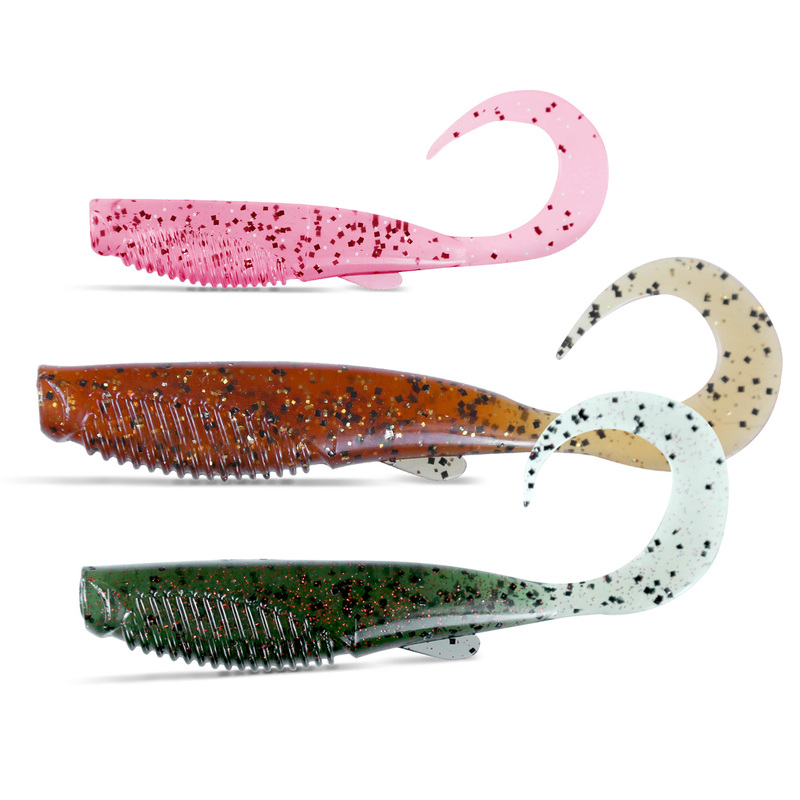 The Bio-Tough Wriggler works particularly well on the drop, with it's fluttering curl tail. The Wriggler can be hopped or spun at a variety of retrieves without compromising action, however when paused and left on the bottom the tail will still move in the slowest current, enticing even the wariest of fish.